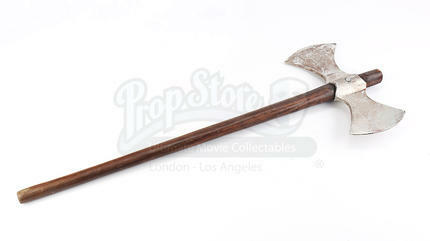 A small metal battle axe from Breck Eisner’s fantasy action film The Last Witch Hunter. 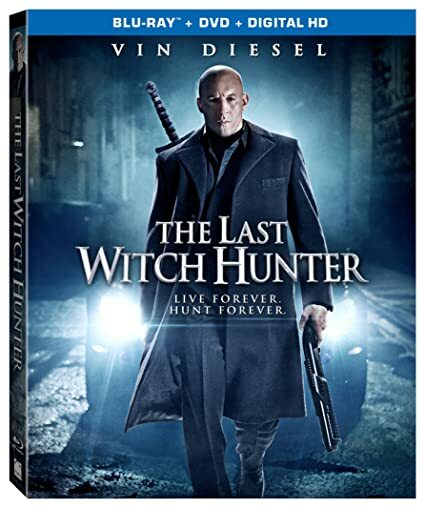 In the film, Kaulder (Vin Diesel), a witch hunter cursed with immortality, finds the modern world he lives in under attack when the powerful witch who cursed him is resurrected. 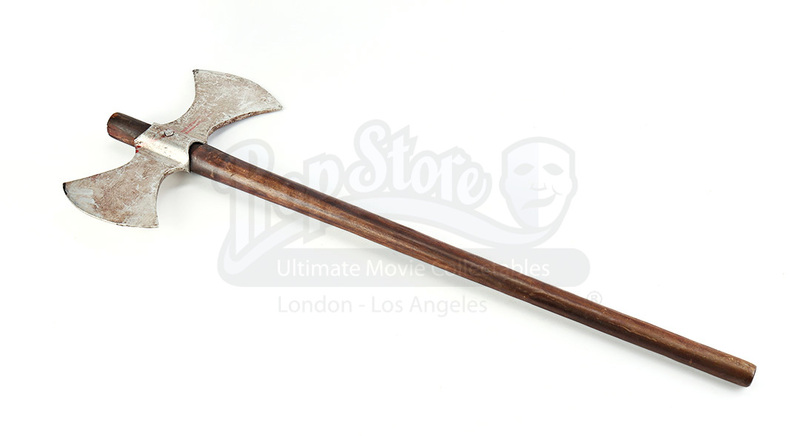 Many of Kaulder's knights use axes to hunt witches down in the beginning of the film. 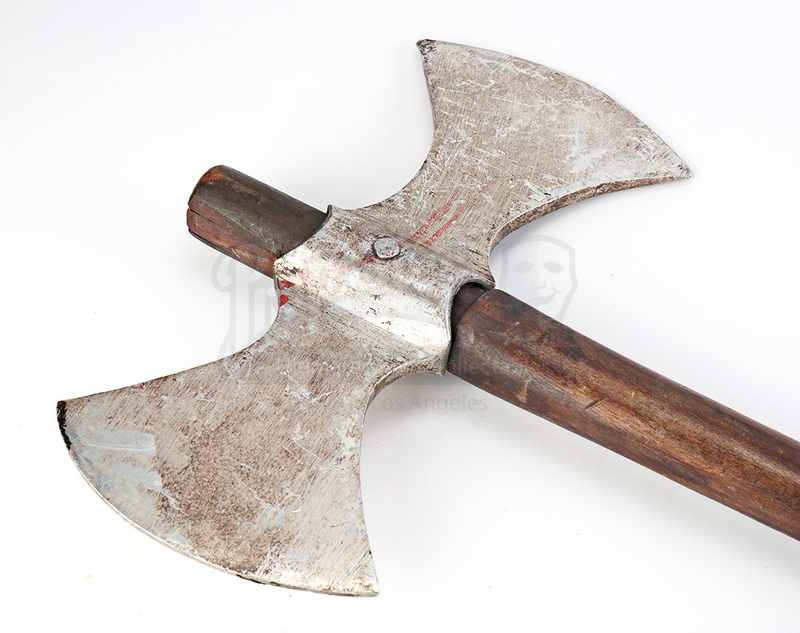 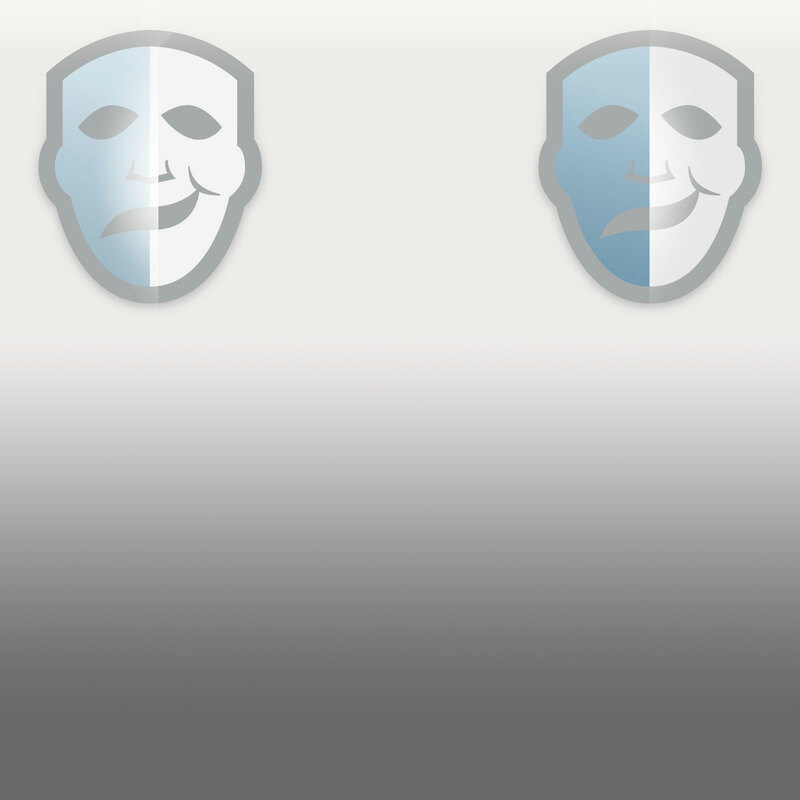 The axe consists of a long wooden handle and a metal double-sided axe head. 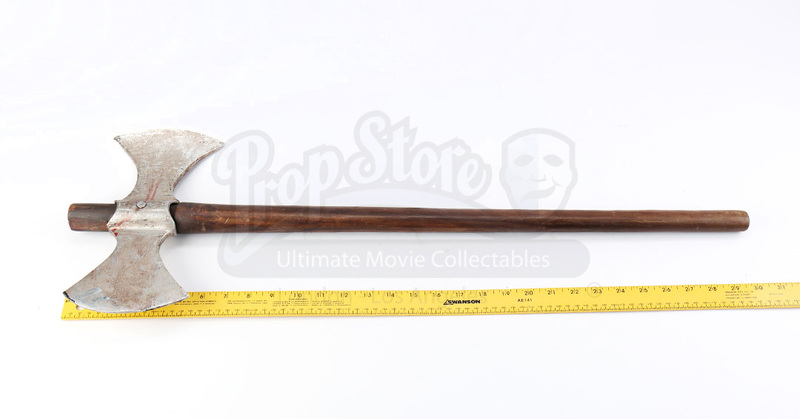 The axe shows minimal wear from production use and remains in great overall condition.